Soros Fund Management, which was founded by billionaire George Soros, who currently acts as its Chairman, has been one of the best-performing hedge funds, returning around 30% per year over the three decades from 1970 to 2000. Even though Soros doesn’t play a role in the fund’s day-to-day activity anymore, Soros Fund Management is still closely monitored by the general investing crowd. Soros Fund Management’s latest 13F revealed that the fund significantly reshuffled its holdings in the third quarter. The value of the fund’s equity portfolio slid to $6.61 billion from $10.75 billion, as it closed 123 positions while initiated stakes in only a little more than 90 companies. In this article, we are going to take a look at the fund’s five largest holdings as of the end of September. Soros Fund Management is one of 730 funds whose 13F filings we analyze each quarter in order to identify profitable investment opportunities. Out of thousands of stocks that trade on the market it is hard to identify those capable of generating strong returns. One metric that can help us pick the next investment is the hedge fund sentiment. Hedge funds employ a lot of resources and skills that are not readily available to other investors, but following their equity portfolios can provide us with some free and powerful insight. Insider Monkey focuses on the 15 most popular small-cap picks among the funds we track and this approach has outperformed the market by more than 53 percentage points in the last 38 months, returning 102% (see more details). 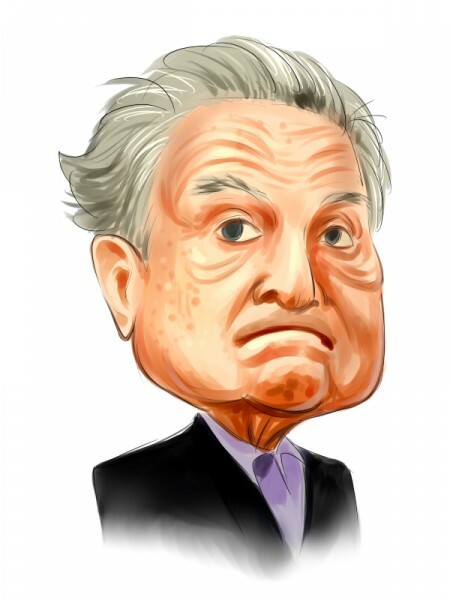 With this in mind, let’s proceed to Soros’ top five holdings as of the end of September, starting with Allergan PLC (NYSE:AGN), which climbed a couple of spots on the list after the fund boosted its stake by 615,228 shares, as it reported holding 774,566 shares worth $210.54 million as of the end of September. In the third quarter, Allergan PLC (NYSE:AGN)’s stock lost 10% as the entire pharma sector declined amid concerns over drug-pricing policies that captured the attention of some political figures. Year-to-date, though, the stock is 15% in the green and investors are sticking to their bullish positions as Allergan PLC (NYSE:AGN) is one of the leaders in the industry and has a great portfolio of products. The recent decision to sell its generics business to Teva Pharmaceutical Industries Ltd (ADR) (NYSE:TEVA), will allow the company to focus on branded drugs, thus generating more profits. Allergan still remains the favorite stock among the funds from our database, with 151 of them holding long positions as of September 30. Among them, Andreas Halvorsen‘s Viking Global added 398,350 shares to its stake in Allergan, owning 7.20 million shares total on September 30. Adecoagro SA (NYSE:AGRO) comes next, as Soros left its stake in it unchanged at 25.92 million shares, worth $206.28 million. With a market cap of just $1.40 billion, Adecoagro represents Soros’ top small-cap pick. The stock of the agricultural company has advanced by over 40% year-to-date. Adecoagro SA (NYSE:AGRO) is a diversified holding company, engaged in leasing land and coffee plantations in South America, cultivating rice, producing milk, and growing sugar cane, which is used in the production of sugar and ethanol. The company is also engaged in the acquisition of underdeveloped farmland businesses that generate value through the sale of assets. All in all, Adecoagro has exposure to several segments in the agricultural industry, which should keep generating value for its shareholders. Dwight Anderson’s Ospraie Management is extremely bullish on Adecoagro SA (NYSE:AGRO), which represents its only U.S equity holding, with the position consisting of 10.65 million shares. On the next page, we are going to take a look at two of Soros’ tech plays: Cypress Semiconductor Corporation (NASDAQ:CY) and Facebook Inc (NASDAQ:FB), as well as one of its basic materials picks, Dow Chemical Co (NYSE:DOW).